Green Bay is 11-5, while Oakland is 12-4 after their win over Youngstown State. Valparaiso is in control of the No. 1 seed, which means the winner between Green Bay and Oakland will gain a strong hold for the number-two seed. 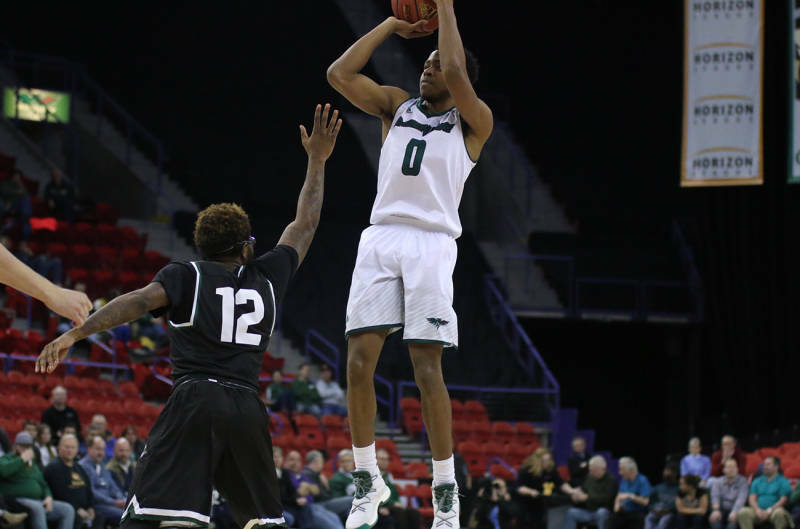 Green Bay defeated Oakland earlier this season in Michigan, which means if the Phoenix would win Friday and again on Sunday against Detroit (Senior Day), they would own the tiebreaker advantage over Oakland for tournament seeding. The top two seeds entering the tournament receive byes all the way to the semifinals. The Phoenix entered the second half trailing UIC 38-31 after missing 13 of its final 14 shots to close out the first half. Green Bay outscored UIC 56-41 in the second half to win. Warren Jones finished with a season-high 22 points, hitting 5 of 7 from three-point range. Jones was also perfect (7 for 7) at the free throw line. Charles Cooper added 18 points and a career-high 13 rebounds. Kerem Kanter had 11 points and 13 rebounds and Khalil Small had 15 points. Green Bay scored 50 points from its bench, their second-highest total this season. UIC was led by Tai Odiase, who had 16 points and 12 rebounds. The Milwaukee Panthers made league leading Valparaiso earn their victory last night. With the Crusaders celebrating their senior night, the Panthers trailed by just four points (31-27) at halftime. The Panthers took a 2-point lead with just over 14 minutes to play before the Crusaders went on a 11-4 run and pulled out a 67-61 victory. Valparaiso (23-6, 13-3 HL) hit six free throws in the final 1:21 to seal the win. The Panthers (8-21, 4-12) got 22 points from Brock Stull in defeat.